Hello everyone today we are going to discuss some of the causes for uneven stitches. 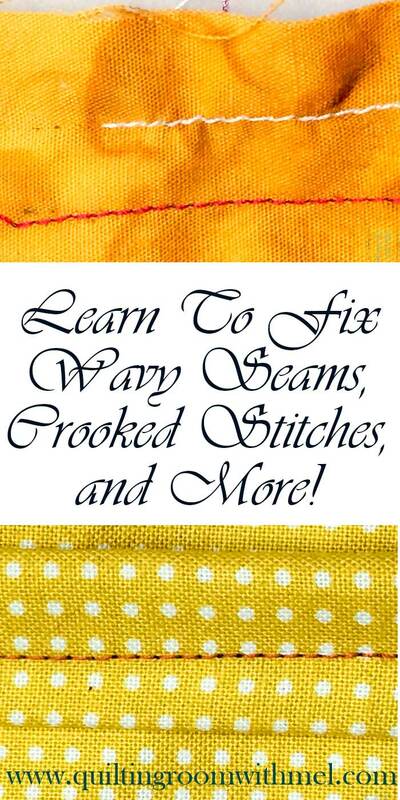 We will be looking into stitch patterns that vary the stitch length between stitches and the stitch patterns that leave behind curling, ruffling and crooked stitches. It doesn’t matter if the machine leaving behind the unruly stitches is old or new, most of the causes can be replicated with all types of sewing machines from long bobbins to the common round bobbins. The greatest thing about being able to share these learning experiences with other enthusiasts comes in the form of humble pie. By sharing what I have learned I discovered that it fulfills my desire to be helpful and it also serves to keep me grounded. It makes me remember that I make mistakes too and I learn and I move on trying not to repeat the same mistake a second time around. It reminds me to never look down upon someone who may not share the same skill level in a specific environment. No one is born knowing everything and we must all learn and improve our skill sets. The individual struggling with a particular skill is a reflection of me. And by keeping that thought fresh in my mind I retain the humility needed to make it possible to teach others who haven’t been on the same learning path as I have or perhaps they haven’t faced the same challenges. By understanding this simple concept it made me realize that while I was honing skills in one particular field there were thousands who were honing their skills in a different field which in no way makes me any smarter than they are it just means we have learned different skills. I try to learn something new every day, sometimes it’s a successful effort and sometimes not so successful but it always a lesson learned. When we look at a row of stitches/a seam and we see that the stitches are uneven in length one of the first things that comes to mind is presser foot issues. Either we have our downward pressure set too tight or too loose. While this may be a cause it isn’t the first thing we should look at especially if there hasn’t been a major change in materials being used. One of the most overlooked problems I have found causing uneven stitches is simply operator error. If we become too complacent with our sewing it becomes easy for us to overlook the fact that we are not allowing the machine to work at its own speed. We are crowding the harp pushing and pulling on the fabric to beat it into submission while the machine is simply pushing the needle through the fabric regardless of alignment. I catch this more than I care to admit especially when I am tired or in a hurry. But I also find myself driving the fabric too hard when it is oversize or heavy. Now if there has been a major change in materials being used, such as thread size or material type then the problem could be in the adjustments of the presser foot or it could be there is a build-up of lint under the feed dogs and we have neglected the simple task of cleaning the machine’s crucial areas. More than once I have been thoroughly disgusted with a machine's performance only to discover I had not kept my end of the bargain and therefore it could not keep its end up either. When I have this problem and I know I have been diligent in my responsibilities, then I look at where the problem seems to be most prominent. 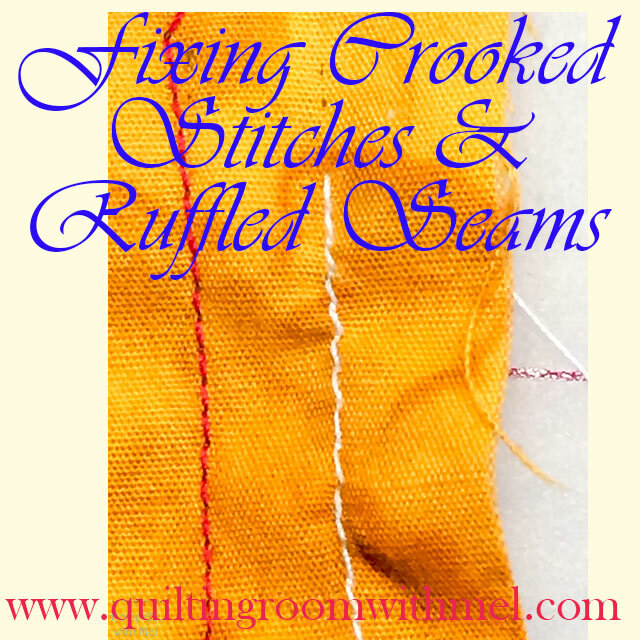 If my seam is good until it has to cross another seam and all at once it wants to take a few larger stitches then it falls back into a smaller pattern then I will first check to make sure the presser foot is being fully pressed down into the feed dogs and the fabric is not slipping. When I am satisfied that the presser is correct then I look at the feed dogs and see if it’s time to replace them. If the edges are worn down then they can’t grip the fabric correctly. If the feed dogs are good then maybe it might be a good idea to try a walking/even feed foot or a roller foot if one is available. A walking foot can compensate for worn feed dogs to a certain degree but it is only a workaround solution, not a proper fix. The last thing I look at for this scenario is the thread path. I look to make sure everything is following the proper path at the proper tension and that the take-up spring is actually functioning properly. Most times following this process has left me with acceptable results. If my stitches are causing the seam to ruffle or curve then I will check first for balanced stitches and secondly that my bobbin thread matches the same size as my upper thread. If I am using one of my older machines with the uneven feed dogs and presser foot I will adjust the presser foot pressure until it is just enough to pull the fabric through the machine straight and not curve as it departs the needle area. On the older machines with one side of the foot having a longer row of feed dogs than the other, it can become a challenge to get the pressure correct. If the pressure is too loose then it will slip and curve, but if the pressure is too tight then it will grab and turn a curve generally away from the longer feed dogs. If it happens to be one of my vintage machines with equal feed dogs then I will look at the feed dogs and ensure they protrude through the needle plate the same height on both sides. I have found warped or bent feed dogs causing a curved seam much like a machine with uneven feed dogs. The primary cause for this situation appears to be a combination of the aluminum or alloy feed dogs found in some of the machines made in the 90s. Particularly when the feed dogs have a long thin arm on one side connecting them to the cam under the machine. When these machines are used to sew heavy material/standard jean weight denim they tend to warp and bend. Like most machines, they are rated to handle the work with a proper needle size but they can’t do it for long. Ruffling of the seams is usually caused by the upper and lower thread tension being too tight on the machine. Even though the seams may be balanced if they are too tight then it causes stretch of the fabric as it travels over the feed dogs and as that stretch is sewn and released as the seam crosses through under the needle the seam starts looking like it was sewn through a slightly stretched piece of elastic. The second most common cause for the ruffles is the presser foot pressure being too tight stretching the fabric or the operator of the machine is holding back too tightly and not letting the material walk through the machine. These are all results of the fabric being stretched as it is sewn. I hope that some of you will find some wisdom in my folly and that it will help you to understand and advance your skill set. I’m sure there may be other causes for these symptoms and eventually, I hope to learn all of them. Until the time that I have the answers to all mankind’s problems, I firmly believe that if we understand the circumstances we can find the solutions. Until next time may you be blessed with the pure joy of using your machines your way and the comfort of knowing that there may be other copies of the same thing you do but there is only one exactly like yours. It is the only one alive that has your soul and love put into it.